Eighteen years ago, we created ZAAS HOMES to combat low quality workmanship and shoddy construction in Melbourne area housing. Beginning with renovations and working up to new homes and developments, we successfully established a reputation in the community for excellent craftsmanship and beautiful results. ZAAS HOMES is family-owned and run to keep us close to you, the customers we serve. We ensure high quality service by hiring the same contractors for each job and supervising work ourselves. We never give away the work done on your home to the lowest bidder; we prefer to build trust, loyalty, and sturdy homes. Our expert designs, tailored to your desires and created within your constraints, service buyers needing new homes, renovations to existing structures, and new developments. We even provide in-house financing, working to secure the best loan to meet your needs. Through ZAAS HOMES, your building project will finally come to life. While our primary location is in Melbourne, we’re happy to help clients who live further away. Please go to the ‘Contact Us’ page to inquire about your specific situation. We believe that our love for what we do and our concern for Melbourne families, more than anything else, shows in the services we provide. We hope you’ll choose us for all your housing needs. Hansen Living is a Premium Custom Home Builder. We specialise in end-to-end custom luxury home design and construction solutions. We can build your dream home that is entirely tailored to suit your preferences and lifestyle. Our Director Scott Hansen is an industry leader with over 20 years building experience. He directly manages every project, ensuring the process is streamlined, timely and stress free. 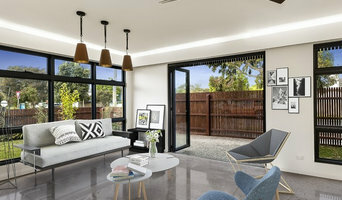 Website: <a rel="nofollow" target="_blank" href="http://www.theedgegroup.com.au/">http://www.theedgegroup.com.au/</a> Facebook: <a rel="nofollow" target="_blank" href="https://www.facebook.com/theedgedevelopmentgroup/">https://www.facebook.com/theedgedevelopmentgroup/</a> Pinterest: <a rel="nofollow" target="_blank" href="https://au.pinterest.com/edgedevelopment/">https://au.pinterest.com/edgedevelopment/</a> Instagram: @theedgedevelopmentgroup The Edge Development Group is an integrated builder and developer specialising in multi-residential projects with a focus on builds in superior locations, typically Bayside. Founded by Cieran Kayes an accredited residential and commercial builder with over 25 years’ experience. Cieran is a passionate developer with a straightforward approach. Committed to delivering projects focused on design, premium quality, lifestyle and the way people live. We are client focused and take a very hands-on approach with every project, from the initial design process, sales and marketing, client engagement – right through to construction and the final delivery of a premium property to the client. 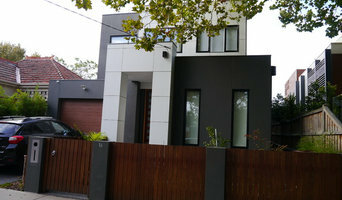 GJ Hooper Builders specialise in home renovations and extensions in the Northern and inner city suburbs. Greg Hooper has been a Builder for over 20 years and started his business building homes in the Diamond Valley. From this experience, he developed a skill for practical design and quality workmanship. GJ Hooper will work in partnership with you or your architect to develop your home project. JADO DECOR DOMESTIC AND COMMERCIAL BUILDER & INTERIOR DESIGN DOMESTIC / COMMERCIAL / RETAIL / HOSPITALITY / RESORTS We are an Interior Design and refurbishment company that works within the Commercial, Residential, Retail and Hospitality sector. We commence with Design Concepts right through to completion of all building and construction works. Our professional team includes Architect, and a vast array of proffessional and experienced trades persons . 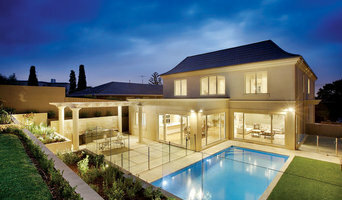 Melbourne based construction group specialising in high end residential projects. View our portfolio online today, or get in touch with our team today. Greska Homes is dedicated, to the pursuit of excellence in residential construction. This underlying principle drives every project we deliver; from conceptual design through to completion. Comprehensive project management expertise and a large portfolio unique designs, translates into every project and demonstrates genuine joy and passion for what we do and strive to accomplish for our clientele. Whether you are starting from a blank canvas, wanting to create a unique home or restoring/extending an old dwelling; Greska Homes are committed to creating a beautiful & sophisticated, liveable space within all budgets. We aim to provide the best solutions and are determined to cater for your individual requirements, suitable for any budget. Constant research for further cost effective solutions and designs that drive the value of your investment further allows us to deliver a high end product for a tailored budget. We work closely with our clients through the entire building process therefore the experience is both rewarding and inspiring. Our focus on design and construction is always in harmony, ultimately guiding your investment to surpass your expectations. We strive to deliver your project with high end designer finish without any compromises or hidden costs. We deliver a balance of contemporary design and construction techniques that produce exceptional outcomes, driving industry benchmarks and standards to a new level. Small Change Design & Construction is a builder with a big difference. 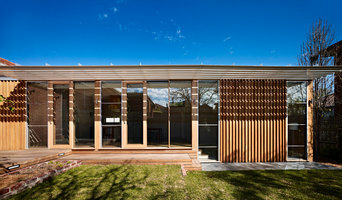 We design and build genuinely small homes that are energy efficient and clever with space. Our homes are for people who agree with us that small is beautiful and less is more. We invite you to think big by living small.